Get ready for a new wave of contemporary outdoor furniture with the exquisite Bianca Outdoor Rope Furniture Collection. An amazing anthracite bronze powder coated aluminium frame wrapped with gorgeous outdoor Rope and cushioned with Sunbrella®, these are pieces that you do not want to miss out on. Modern and fresh, Bianca is in a league of its own. The Bianca Outdoor Rope Collection is comprised of the bodacious and beautiful Bianca Sofa, gorgeous Club Chair and designer Dining Chair. A collection so unique, we know that it will make a sophisticated impact in your home. 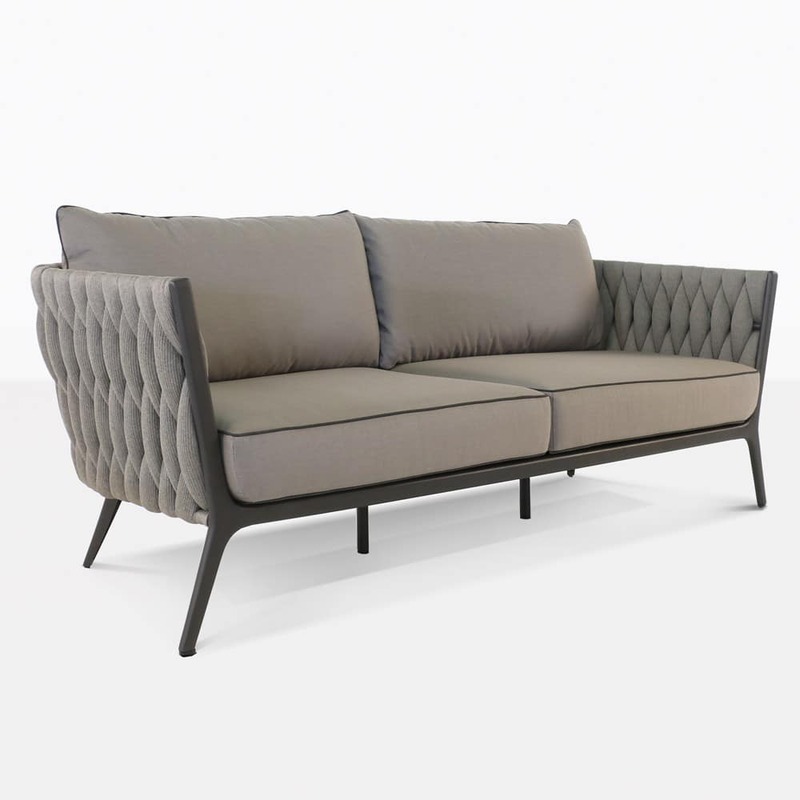 Bianca ties the depth of modern, deep seating with simple, Swiss style furniture – clean lines, sharp angles and a hint of minimalism; this is a look that we know you will love. Invigorate your courtyard with Bianca! Place a Bianca Outdoor Outdoor Rope Sofa in the centre of your space flanked by two Bianca Club Chairs. Assist your welcoming, calm and cool space with a concrete coffee table to give a splendid sophisticated addition for placing drinks and nibble. Make your open air living room a space you can truly relax in. Factor in a dining table with the matching Bianca Outdoor Rope Dining Chairs and you will have an absolutely cool, calm and compelling setting that you and your family will adore. The Bianca range of furniture is taking us into a new dimension of outdoor living with its amazing mix of materials. The powder coated frame deters mold, rust and erosion, while the polypropylene rope is top of the line. And if that weren’t all, Bianca comes with free Sunbrella® cushions so that you can rest easy, knowing that your furniture is the best quality! 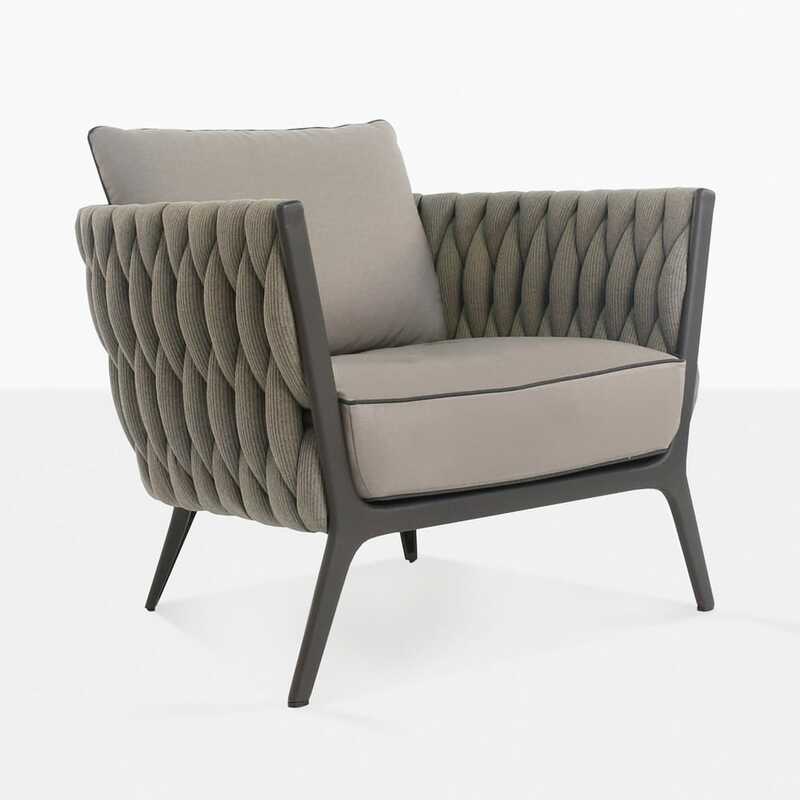 Design Warehouse has an extraordinary range of outdoor furniture, from dining to deep seating and much, much more. So, what are you waiting for? Call us today to order your Bianca Collection!